A miscarriage is a miscarriage every single time. The pain of another loss hits home again. Not for me this time, but for someone dear to me. As we talked today some of the same sentences were said. Sentences I have said to myself, to others about myself, to others in consolation of their own loss. But as I said them today I heard just how hollow they are. And the pain hit me, hard, in a way I hadn’t expected because I thought I had buried it deep, deep down. No actually I thought, it was a pain that I didn’t have the right to feel. Today I realised just how wrong I have been. Miscarriage is not selective, or fair, or for the best, or better because it was early. It’s not okay because you already have a baby, or two, to hold and cuddle and smell their sweetness. It is still loss and it takes a piece of you away with it. For a couple of years the miscarriages around me were more consuming than the births. Very close friends of mine lost many pregnancies in every circumstance, early, late after announcing it to everyone and daring to be excited. For all of them each loss was another first that was never to be. Not only does the pain of the loss, the dragging disappointment, the pang of missing what will never be hurt like hell, but the overwhelming fear that this is their lot may be even worse. I don’t know, my losses were not my first. 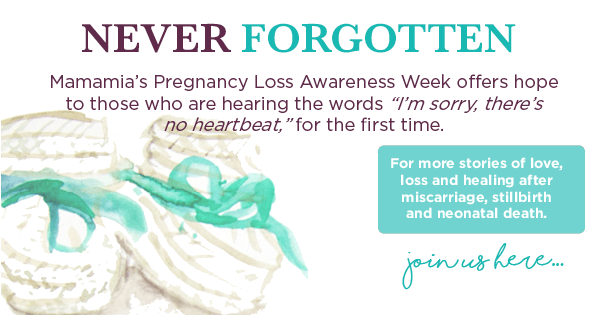 This week as part of Never Forgotten: Mamamia&apos;s Pregnancy Loss Awareness Week we&apos;re remembering the babies we&apos;ve lost. Post continues below. I had a beautiful baby while friends still did not. And as he turned 2 I felt my world start swirling. His birthday was the due date of a baby we never had. But how do you possibly complain about that? You celebrate what you have, you love and laugh and cuddle and delight and you try again. I was in a very dangerous situation, thankfully emergency surgery prevented anything worse, but losing two babies was pretty tough. The thought of twins was so overwhelming, but the fascination of the huge numbers of medical staff coming to see the “1 in 30,000″ that my situation was blunted most of that away. I somehow stood beside my best friend two days after the operation as her bridesmaid in her wedding. I had missed the hens night because I was in hospital, so it was an emotional day as so many people smiled at me through tears, but still not one of grief for me. I saw the miscarriages I had had as fate, as the inevitable, as my lot. I had been so lucky with everything else and miscarriages happen, a lot. Why not to me? I saw it as fair game, but I didn’t allow myself to grieve. I didn’t think I had that right. And as I stood next to my wild child blowing out his candles and wondering what may have been, it wasn’t with any sense of grief because I hadn’t allowed myself that, especially because I was pregnant again. But those babies were babies just the same. 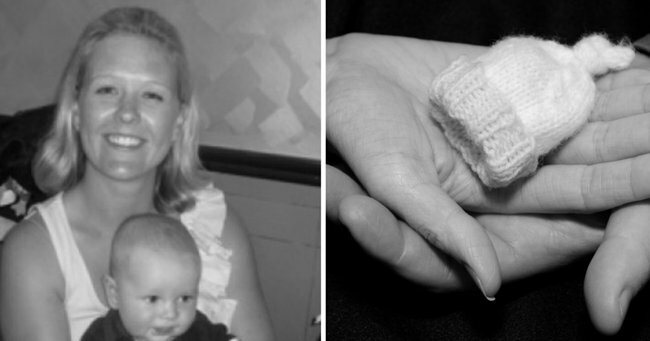 I carried four babies in one year and only got to carry one out of hospital in my arms. That is absolutely the most important part, but it doesn’t mean those others don’t get a little piece of my heart dedicated just to them. And so today after I have said, at least you have one, thank goodness you hadn’t told anyone, get some wine, lots of wine, I wished I had have just said I feel your pain, your loss, your grief, and my darling girl know you are not alone. Laura Gordon is a mother to two wild little boys and along with her husband, lives on the coast with their golden retriever. She is a teacher at an all boys secondary school and a writer for KidsVoice Magazine and Penguin Books. You can check out her blog Poo, Spew and Superglue here. Have you or someone close to you ever suffered a miscarriage? How did you cope with the loss? Listen: Mia Freedman talks to Rebecca Sparrow about surviving miscarriage.